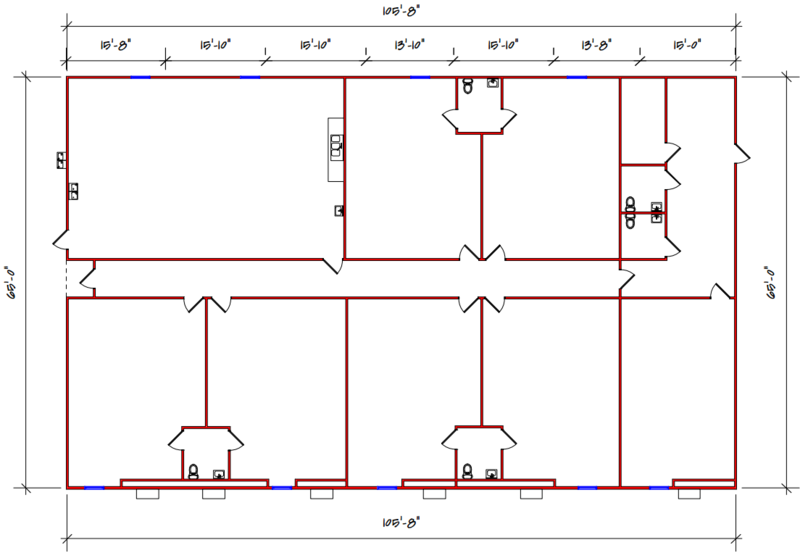 This large modular classroom will be for sale as of June 2016. Six of the classrooms are joined by bathrooms and there is a large multipurpose space that can be utilized for lunch or extracurricular activities. This portable classroom for sale also includes two additional bathrooms and an administrative office area. Purchase a modular classroom and enjoy the benefits of short construction time and dynamic work spaces for students and staff all at a competitively low price.